Organizations have found a lot of new value for themselves and their customers over the past year, thanks to Internet of Things (IoT), machine learning, blockchain and other SAP Leonardo-related technologies. These successes usually result from a focus on solving a specific problem — and they often lead to the creation of new business models. 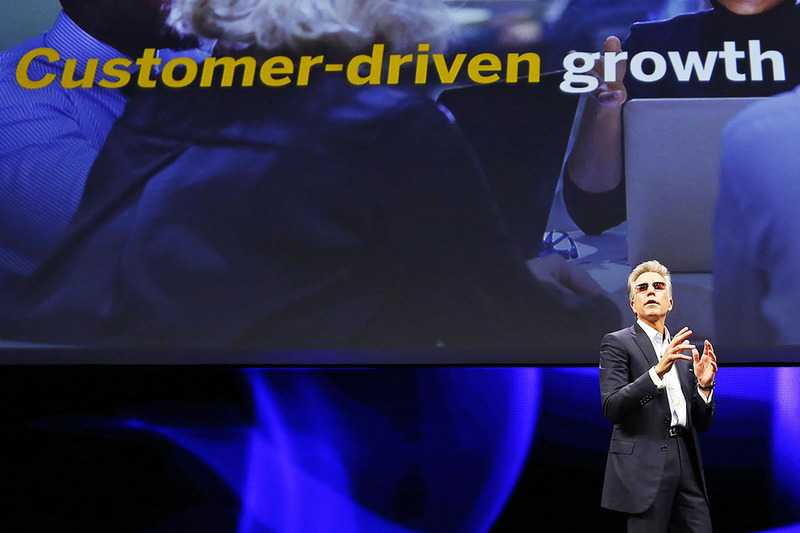 “SAP Leonardo is on the frontlines of next practices in 25 distinctly different industries,” SAP CEO Bill McDermott said during his opening keynote at SAPPHIRE NOW this month. SAP Leonardo is a system of intelligent technologies that include IoT, machine learning and blockchain. These frontlines could be delivering a better customer experience (CX), such as ensuring that in-demand products are in stock, or minimizing downtime of crucial business assets. They all involve adding business value, and some even teach us more about our customers. IoT sensors within a rental car, for example, could tell the rental car company a lot about the people driving their cars, including how careful — or reckless — they are. Machine learning technology can use this information to help the company create better targeted campaigns, determine the best vehicles to buy in the future, and even lower insurance premiums for companies that rent to the safest drivers. New opportunities include selling data and insights to interested third parties. Transparent and immutable blockchain data from hundreds of rental cars, for instance, could help car manufacturers design better products, or help service providers improve maintenance schedules. SAP Leonardo is also at work on factory floors. IoT sensors helped the container and packaging provider spot small issues, such as a tank running low on fluid, before they became big problems, according to Mueller. This reduced field service trips for maintenance crews — and reduced costs. SAP Leonardo’s success in this business segment will lead to rollouts in Pregis’ other segments — and open other opportunities. Other applications include hospitals and warehousing, as well as keeping track of shoppers and inventory on a retail salesfloor. Acuity Brands teamed up with SAP to ensure that the most profitable items in a brick-and-mortar retail store are the first ones restocked on the shelves. The lighting manufacturer combined data about customer activity, SKU profitability and turnover with foot-traffic data from beacons and sensors within retail store lighting systems, which revealed where people are moving — especially in relation to best sellers. This, in turn, makes it really easy for the customers to find what they’re looking for, which enhances their CX. This can all seem overwhelming, especially for those yet to begin their digital journey. The trick is focus on something small, such as solving an exact problem.